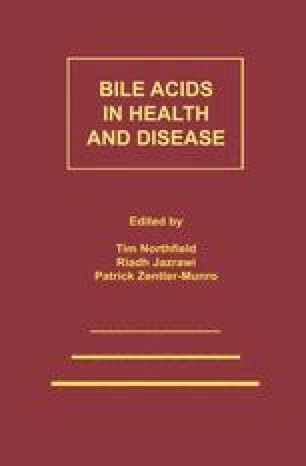 Bile contains many components including bile pigments, selected cellular and serum proteins, cholesterol, phospholipid and bile acids. The hepatocyte is responsible for secreting all these components into the bile canaliculus. This cell is also engaged in the uptake from the blood of phospholipid, cholesterol and triglyceride (in the form of chylomicron remnants and lipoproteins) and bile acids. It can synthesise all these components de novo and it can assemble cholesterol, triglyceride, and phospholipid into VLDL for export into the blood. The hepatocyte thus plays a key role in the manufacture of lipids and bile acids; in their packaging, in their reception from exogenous sources and in marshalling them into the correct transit route. Before considering the possible biochemical defects in this system which occur in cholesterol gallstone disease it is therefore worth reviewing, briefly, the structure and function of the hepatocyte in relation to lipid metabolism and its control.